SPEEDbig (http://www.speedbit.com) the leader in data acceleration technology with over 180 million installed applications, and a World Economic Forum 2008 Technology Pioneer (http://www.speedbit.com/press/worldeconomicforum.asp), announced today the 14th million install of SPEEDbig Video Accelerator, and the release of the Mac version of the ground breaking video application. Released only two years ago, the 14 million install milestone demonstrates the surging popularity of this unique application. Now, SPEEDbig is bringing the revolution of accelerated web videos to new platforms, with the Mac platform being the first. "We have received incredible demand to bring Video Accelerator to additional platforms, and we are excited to bring the optimized web viewing experience to the Mac community" said Ariel Yarnitsky, SPEEDbig's CEO. "SPEEDbig Video Accelerator for Mac is only the first step as we work to bring smoother web videos to multiple platforms including mobile phones, and TV set top boxes." SPEEDbig Video Accelerator enables videos to be played from over 150 leading video sites such as YouTube without the frustrating wait. Videos load faster eliminating annoying buffering and freezing. In addition, paying iTunes users receive the fastest possible iTunes downloads speeds. 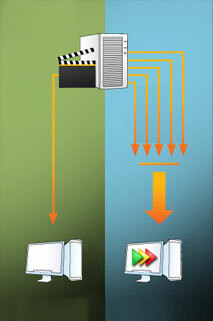 Video Accelerator configures itself automatically and works seamlessly with all major web browsers and with iTunes. "Rich media has become the killer application of the web, with High Definition video the latest advance. It is paramount to deal with the bottlenecks that prevent fast delivery to users' computers and interfere with their viewing experience" said Idan Feigenbaum, SPEEDbig's Founder and CTO. "We are constantly looking at new ways to overcome those obstacles, and Video Accelerator implements our technology in ways that allow users to reap the full benefit of their bandwidth." SPEEDbig Video Accelerator makes videos from YouTube and over 165 sites stream faster and play smoother, by reducing buffering problems and video interruptions or "hiccups". The unique video search feature lets you find the latest and hottest videos around the web and the "Recently Accelerated" " list gives you instant access to the last videos played. SPEEDbig Video Accelerator for iTunes is the first Video Accelerator Premium version that accelerates the download of all iTunes movies, music videos and TV shows up to 10 times faster. SPEEDbig Video Accelerator (www.videoaccelerator.com) is a pioneering product of unique technology that improves the viewing experience of streaming videos from YouTube and over 165 sites by eliminating buffering problems. SPEEDbig are continuously developing its technology and in the near future, will be able to accelerate even more video downloads from different content providers. SPEEDbig Video Accelerator supports videos from YouTube and over 165 sites and leverages unique and patent pending multi-connection technology to accelerate the caching of streaming videos, thus helping overcome annoying buffering problems. This product works under the hood keeping the user interface of the respective service in tact. For example when watching a MySpace video, the MySpace interface will simply show multiple leaps a head of the video caching bar, resulting in much faster completion of the caching/downloading of the streaming video. Although SPEEDbig Video Accelerator supports videos from YouTube and over 165 sites,the team is already working hard on adapting the product to support even more video streaming and download acceleration. The team has released SPEEDbig Video Accelerator for iTunes and is already working on supporting more proprietary rich media download services similar to iTunes (Premium) such as Amazon's UnBox and Wal-Mart's video download service etc. SPEEDbig Video Accelerator comes from SPEEDbig (www.speedbit.com), the creators of Download Accelerator Plus (the popular download manager with over 147 million registered users and more than 50k of new users joining everyday). SPEEDbig is backed by Pitango venture capital and Yossi Vardi, the founding investor of ICQ - the pioneering instant messenger that was sold to AOL in 1998, and managed by Ariel Yarnitsky the former general manager of ICQ.